In January of 2010 a 9 year old girl was holding the newborn baby of a family friend, while sitting at the dining room table. The girl’s mother died two years prior from cancer while she and her parents were living in the Dominican Republic. 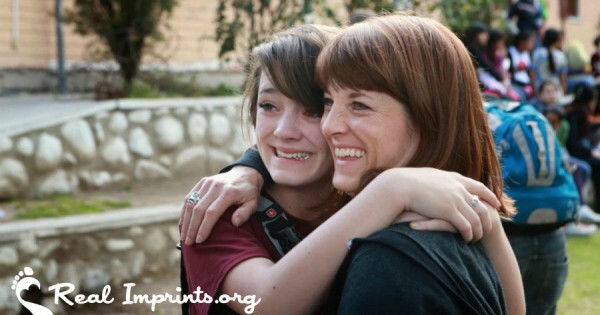 She was now home with her father in Port Au Prince, Haiti. The infant’s parents were speaking with her father in the next room when the ground began to shake and the walls started coming down. She held the infant tightly and hid under the table as the house collapsed. When her world stood still again, she and the infant came out of the rubble unharmed. Their parents did not. She searched through the rubble for some clothes and food for herself and the infant and began walking toward the closest road she knew of. She would later explain that she was, “looking for a bus with a hospital sign on it.” She found this, and they boarded the bus to travel to Hospital Albert Schweitzer in De Chappelle, Haiti. In November of 2010 I received an e-mail regarding a position as a nurse in a cholera ward in Haiti with Project Hope. “Project Hope was founded in 1959. It is a non-governmental organization (NGO) that provides medical training and health education, and conducts humanitarian assistance programs in more than 35 countries” (1). I had $550 dollars to my name and this position was a volunteer assignment for 6 months. They stated they would pay for my ticket to and from Haiti as well as my room and board. I would need to pay for my vaccinations. Which, at the time, cost nine hundred dollars. Insurance did not cover this. This was the same day as the final University of Idaho and Boise State football game. I didn’t know how I would pay for the vaccinations. So I decided to bet all the money I had in my account on a 38 point spread of the universities’ final football game. Impulsive? Yes. This is really out of character for me. But I couldn’t stop thinking about placing the bet, until I did it. I won about $1200 (I bet legally, internationally online) just enough money to pay for my vaccines and have enough for spending while I was gone. Less than 3 days later I was in Haiti. We finally arrived to the hospital. It took us approximately 5 hours to drive to the hospital due to the damaged roads and the devastated city of Port Au Prince. Port au Prince reminded me of a concrete jungle at ground zero. Refuge tents lined the roads. After arriving, we walked into a large stone room, with a big tree in the middle of it. Part of the roof was open and the tree grew out of this area. Hanging on the tree to dry were patients’ sheets and clothing. The room was lined with rows of cots. It was like stepping back in time to the civil war era. The census in this cholera ward, at the time, was variable from 80-120* patients between adults and pediatrics. It was hot and humid there. The ground had a layer of clear feces on it, every now and again parasites were visible on the floor. The patients did not have any privacy, often using buckets and bins for latrines. They did not know how to use indoor plumbing. The majority had never seen or used a toilet. The bathrooms were overflowing and people were everywhere. Most of the patients had family members with them. Cholera, I quickly learned, has a very particular smell, as most bacteria do. We received a quick orientation of the ward and then we were off to the bunk house. Later in the week while working in the ward a little girl began following me around. She was beautiful, having a huge smile and eyes to match; she was surprisingly charismatic and full of life, exceptionally intelligent, wanting to be a doctor and a dancer. She spoke multiple languages, Spanish, French, Creole, and now she was learning English. She was often seen caring for a baby and looking for things to do. Regularly she would visit the ward and want to help, but mostly she wanted to follow me around. In the cholera ward we learned to be resourceful, only having one IV pump, no linens, a few real beds, minimal nursing luxuries such as wipes and chucks, and often expired or old medical equipment. We saved cardboard boxes for family members to have something to lie on. I have never seen someone so excited to have a cardboard box. I wasn’t even as excited when I was little and obviously had forts to make. I wouldn’t take that excitement away from anyone. High five to all who got one! ompromises and so on. Often children and teenagers were sent to care for the ill family members in the ward. I would clap out the rhythm of the rate their IV fluid should be running at, and the family members would help keep an eye on the fluids by letting me know if they were running too fast or too slow according to the rhythm demonstrated. Other IVs surrounding their family member ran at about the same rate, so this was easier to compare and keep track of. The little girl, I called ti sè, meaning little sister in Haitian Creole, visited me regularly. I would, at times, be able to teach her basic ballet during my break. I used to teach 4-9 year olds in high school. In the meantime she would help keep track of the dripping lines, letting me know if one was infusing too fast or not at all. She was my favorite alarm, student and shadow. I’d wished she were in school. Later I learned primary school is a luxury for most children. Private schools are usually the only option. Electricity was scarce in the community. Due to this, children would show up to the hospital after school and do their homework under the outdoor hospital lighting in the dark. They would line up along the walls and manage to stay focused with so much going on around them. I was impressed. According to the UNICEF humanitarian action report, “Approximately 30% of Haitian children attending primary school will not make it to third grade; 60% will abandon school before sixth grade, and only 50% of primary school aged children are not in school”(3). Ti sè walked around the Hospital as if it were her home, and it was. She was one of the many orphans living in the designated orphanage area of the hospital. Employees were dedicated to finding these children’s relatives and caring for them. This was often a challenge in such a rural area with limited amounts of technology and documentation nationwide, especially after the earthquake. 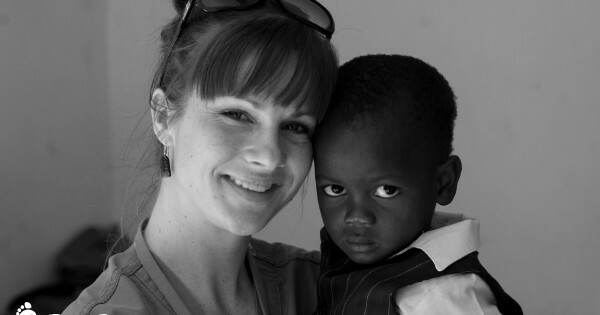 According to the Haiti Orphan Project, “15% of all children in Haiti are orphaned or abandoned. 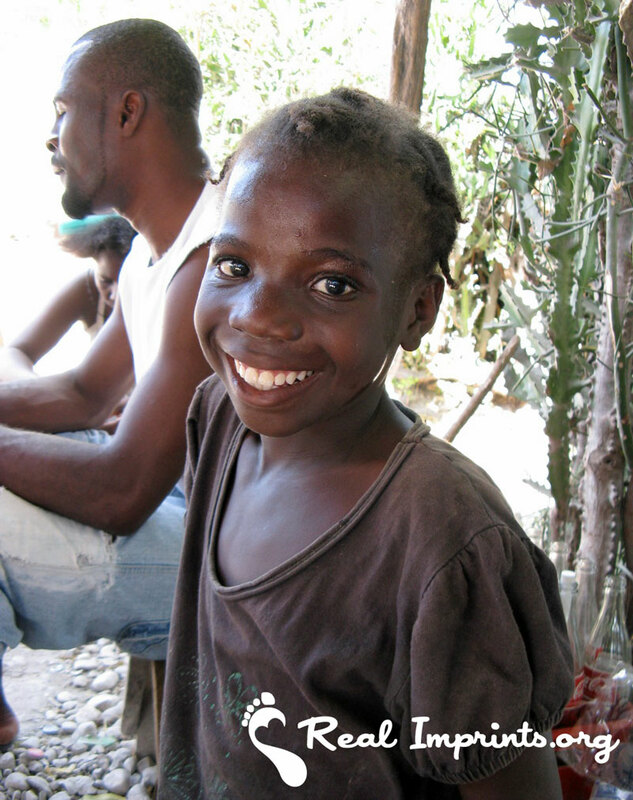 Most estimates put the number of orphans in Haiti prior to the January 2010 earthquake at about 380,000. Experts now estimate that the number of orphans has doubled to about 750,000 since the earthquake” (4). About two months had gone by, I could diagnose cholera by scent alone. Our census was significantly smaller, varying from 40-60* patients. The floor was regularly cleaned with bleach water, a new plumbing system was being put into place to aid in infection prevention, and latrine classes along with water/food/home sanitation education were being done. Haitians were practicing these preventative measures and teaching them to their community members, as this was now a life or death intervention. My ti sè came running up to me in tears. She reached for me to pick her up. I did. Haitians rarely cried, not even the Haitian children. She had a hard time speaking. I had to ask her to slow down. A family member had been found. Her grandma, however she was having early onset dementia. Her grandmother, being the one known living relative of the child’s would take on custody. Ti sè did not want this. She was afraid. She had a new home. She begged me to adopt her. I was 25 years old. I didn’t have any more money (what I had was stolen, that is a different story). I was unmarried and unprepared. The list went on and on, but mostly I was scared. I am told that we are not to regret the things we have done in our lives; I make a regular effort not regretting what I could not do for her. Legally I could not have adopted her anyway; as she had a living family member, and the legalities for adoptions to Americans had just been tightened considering some people from Boise, Idaho (my home at the time) had already kidnapped orphans from Haiti that same year. It’s amazing how we affect one another, inadvertently. She was going to be a few villages to the east of the hospital, about 45 minutes out. She was scared and with good reason. At least if she were at the hospital she may have had a future for herself. But being in the custody of a mildly demented grandmother had its risks. Would she be safe? Would she eat without having to fend for herself? Would she go to school? Be adequately sheltered? 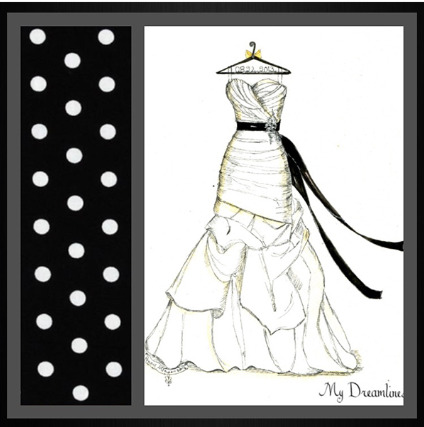 Be loved, disciplined, and advocated for? Be kidnapped and trafficked when her grandma died…my mind started spiraling. I had no idea what her fate would be. All I could do was hold her until she stopped crying, while not breaking down myself. I told her all the ways she was incredible, and that I would visit. She truly was the epitome of resiliency I never knew existed within the human race. I’d read about it while learning about the holocaust and then again with slavery. I’d come close to witnessing this while caring for the elderly in retirement homes. She was different, because she was right in front of me, young and already carrying a beautiful and strong demeanor. The following day I went to find her in the orphanage quarters. She and her baby were already gone. She was a much bigger person than I at nine years old, choosing to care for a child. I thought maybe they would stay at the hospital a few more days. I was wrong, and went back to work. The reality of the environment was wearing on me. Maybe it was because she gave me another perspective in regards to the hands others are dealt? Could the Haitians be free of this epidemic? Could they overcome the devastation of the earthquake and years of political corruption and deliberate suppression? Would the children be able to go to school safely someday? Would sanitary practices, facilities, and healthcare be a common presence in their world? Or food? I could go on and on. But today, I attempt to consciously not. Later I was walking in the town during the evening. It was January now, and the air was cooler. It felt refreshing. I was with some of my friends and wanted a Pepsi. It’s so much better in the third world. Real sugar cane, that’s the secret I hear. I walked up to a convenience store, or in this case a small one room shack complete with a young husband and his wife. They were getting ready for bed, putting the mattress down in the middle of the floor and washing their faces. Their candle flickered. The only other pieces of furniture in the shack were a cooler, a rack for packaged foods, a chair and a mirror. They were laughing and began dancing with one another. They seemed to be in love. They had everything they needed in this, about 5’ by 8’ shack. Half of one of the walls opened up on a hinge, giving it a stand-like appearance. According to Haiti Partners, “About 78 percent of Haitians live in poverty, making $2 per day and about 65% live on $1 per day”(3). These people appeared to fall within this category. The beauty within the simplicity stopped me, as these scenes usually do. Could they possibly be richer in that moment? I think not. 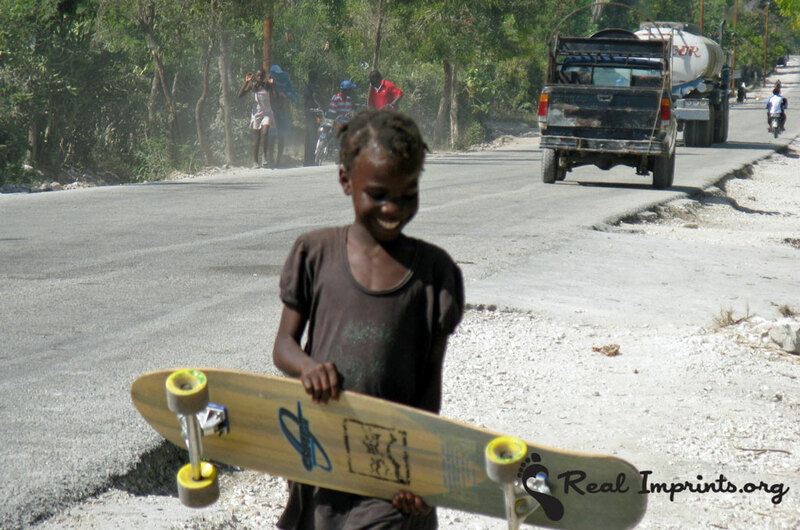 I began having hope for the Haitian people, knowing they were fully aware of how to be happy. These people were resilient because their priorities were in line, and the majority did not take those who loved them for granted. Most had lost someone in the earthquake or to cholera, or something else. Death was not only common, but looming. They lived day to day providing for the bottom portion of Maslow’s Hierarchy of needs. Fending for their physiological needs, then their safety, and finally being able to love and belong. How would we treat one another differently if this was part of our everyday lives within our communities and homes? How would this lifestyle set you back in your world today? Would you make it to the top of Maslow’s pyramid? Would self-actualization be an option without school and/or opportunities for personal achievement? I expressed my need to visit ti sè to one of the doctors I was working with and a couple of my male Haitian friends. We decided to hop on a Tap Tap and find her. Tap Taps are Haitian Taxis, they vary anywhere from a truck bed to a large cattle truck. You tap them twice to get off, hence the name. We traveled east to the village we believed she was living. I had a picture with me. We asked locals if they knew where she was, they did. We found her within 10 minutes. It was incredible. I was happy to see her. She had a bee sting on her face, but other than that she seemed healthy and happy. She was playing with several of the children in the community when we saw her. We had a long board with us, the children played with it and loved it. I gave her the picture of us and thanked her for her friendship. I let her know I would be coming back to Haiti. The census was now eight*, with an admission rate of two per week-ish. The Haitian people endured. Local leaders reached out and aided with cholera education. By the time I left, the Haitian nurses were independent with their care in the ward. This was phenomenal, and achieved within three months. Appropriate water sanitation and lifestyle interventions put into place and practiced by the people of Haiti were working. They did this; they defeated, and are still defeating cholera within an unrelenting environment while under copious amounts of emotional and physical stress. I am inspired by their adaptable capabilities and again resiliency. An essence of genuine strength resonates in their personas. I was there for just under three months. This is nothing compared to a lifetime. This is really nothing at all. I came home to luxury, I am free, and I have education and opportunity. I have reasons to move forward and live for something more than surviving. I will never be the same, and thank the Haitian people for giving me something more than I could ever give them, an appreciation for my life, and the will to gratefully be edified and ambitious. Hundreds of thousands of children were in need of help after the earthquake and tens of thousands are still in need of a home. I have returned to Haiti on three other occasions, each time hoping to run into my ti sè without success. I have since been given opportunities to care for people doing outreach clinics and education. These are my opportunities though, my element. I don’t know why it turned out that way. I thought I would have children by now. Even so, I still believe it is nobler to be dedicated to a few, if not only one person, as ti sè was. She is one of my heroes, a primary motivator. I see wonderful parents sacrificing their dreams and somewhat their identity for their children. Or parents who have special needs children that require continuous one on one care. How remarkably selfless, again I pause in awe at the simple sight or thought. There is still work to be done in Haiti. If you are interested in helping, please check out the following web sites. Thank you for your time. http://www.missionariesofthepoor.org These missionaries care for many disabled and abandoned children. I have personally worked with these men and know they do their best to care for their children. (1)”Project HOPE – Project HOPE.” Project HOPE – Project HOPE. Web. 10 Sept. 2015. (2)”Understanding the Cholera Epidemic, Haiti – Volume 17, Number 7-July 2011 – Emerging Infectious Disease Journal – CDC.” Understanding the Cholera Epidemic, Haiti – Volume 17, Number 7-July 2011 – Emerging Infectious Disease Journal – CDC. Web. 10 Sept. 2015. (3)”Haiti Statistics – Haiti Partners.” Haiti Partners RSS. Web. 10 Sept. 2015. (4)”About Us.” Haiti Orphan Project. 6 Feb. 2015. Web. 10 Sept. 2015. 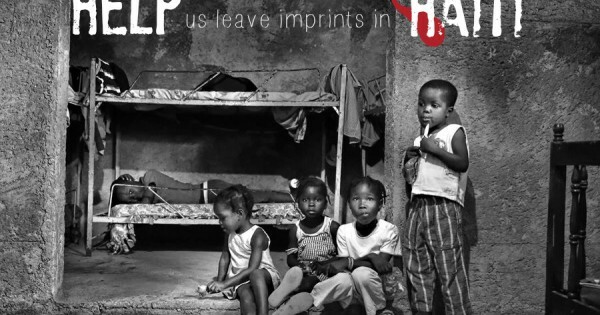 Help Us Leave Imprints in Haiti!